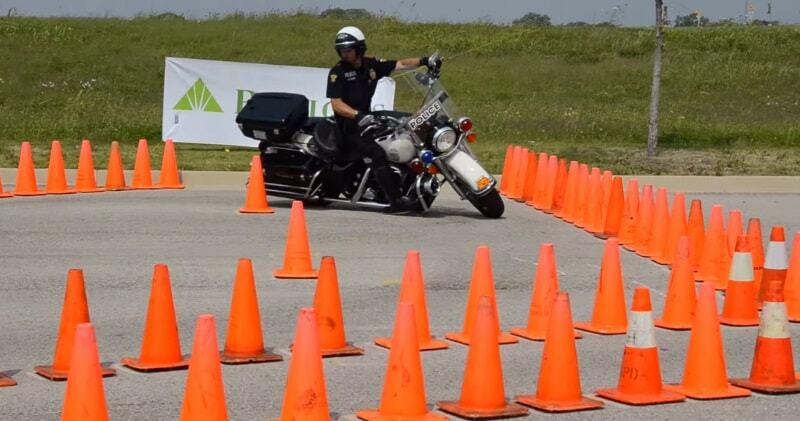 To be a safe and proficient police motorcycle officer requires constant refinement. Besides riding often, one of the best ways to advance one’s skills is to attend a police motorcycle competition, more commonly known as police motorcycle rodeos. It takes a certain amount of skill to ride a motorcycle, and this police officer shows us how it’s done. This highway patrol officer showcased his remarkable riding skills when he owned a tough course on his trusty two-wheeled steed.He maneuvered through the course with such precision and control over his motorcycle, it’s like poetry in motion. As one commenter pointed out, ‘He’s avoiding those cones almost as well as he avoids out constitutional rights.This is one cop I wouldn’t want to run away from. The four-day event brings together officers from across the region and state to take part in valuable training to keep them safe while performing their normal duties. The competition allows the officers to have fun while showing off their riding skills in front of spectators and having an opportunity to interact with the public in a non-enforcement role.